Looking for the perfect Beauty Advent Calendar for 2017? We have rounded up some of our favorites for you and for your loved ones! When was the last time you got an Advent Calendar? I remember when I was a child and my Advent Calendars were filled with chocolate, but as I grew up, those became such a fond memory… I always equated Advent Calendars to chocolate and children, never for us grown and fabulous adults! Boy, where the hell have I been? It was not until I was perusing the Atlanta L’Occitane store that I realized just how awesome they can be for adults! Instead of chocolate, how about must-have makeup and skincare finds? Perfume, booze, you name, they have an advent calendar for it! So as we dive into the holiday season, I thought it would be a lot of fun to share with you some of the hottest Beauty Advent Calendars that are still available and make perfect gifts for yourself and your homegirls and/or loved ones! Right? And if you are asking yourself the purpose of an Advent Calendar, asides for the countdown to Christmas… Girl, what a better way to sample some of the best in beauty and skincare? Right? Many of these calendars feature samples of a brands product line and if you want to get really serious, some even feature full size options at an amazing deal! Check out the ones that we are in love with! Holiday’s Must Have Beauty Advent Calendars! What’s Inside: 24 individually wrapped portions of chocolate that is good for the skin! Improve skin from within thanks to Esthechoc’s Beauty Advent Calendar. This daily chocolate supplement combines the power of nature with scientific evidence to offer a daily boost for your skin. Ideal as a unique gift for the beauty lover in your life. 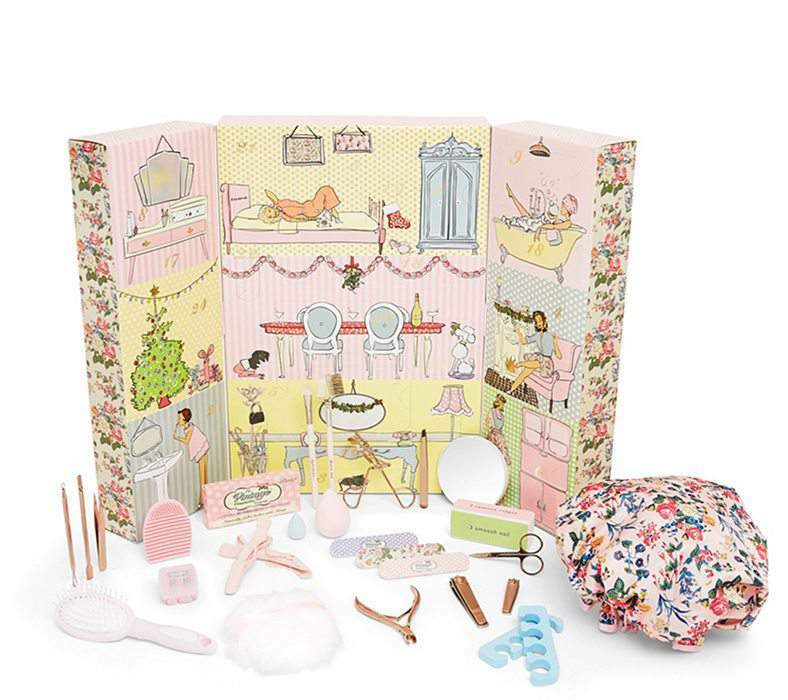 What’s Inside: The 12 door MAD Beauty advent calendar includes a range of hair, skin and nail products, behind each door! Filled with surprise pampering gifts, this is sure to be a treat for your fellow Curvy Fashionista! I mean. I need that NYX one… for the lips? And girl, if I did not have a standing appointment with Terrance Terry on the nails, I would make the Ciate one mine. But, I do love the Target Beauty Box options, too! Ohhh but that No7 one? Eeek! Sooo many great options here! But you have to move fast, because many of uber cool ones have already sold out and I find myself a little sad that I could not share my uber fave one… as it is only shipped in the UK. Many of the uber cool advent calendars are only for the UK. Womp Womp. BUT, the ones above we shared are pretty cool, right? Are you an Advent Calendar fan? Which ones do you get for yourself? Rock for the holiday season? Let’s discuss and share in the comments below!